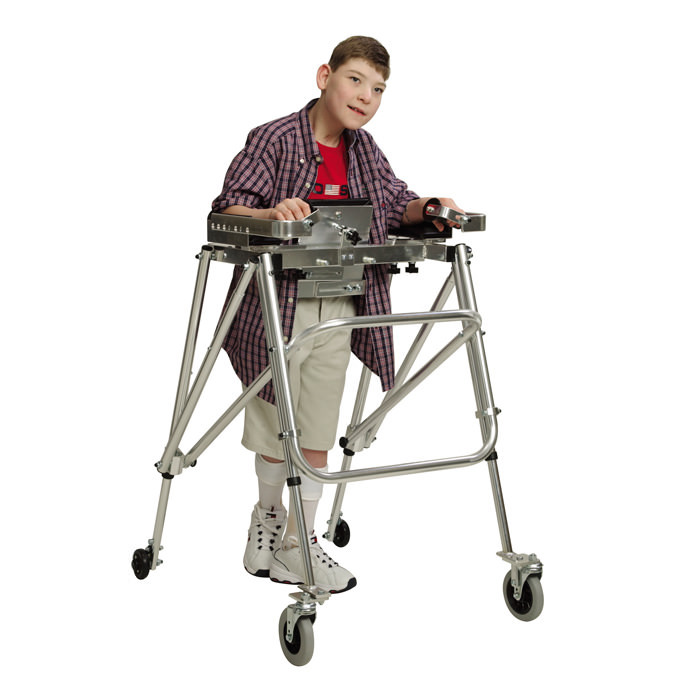 Kaye small anterior support walker is designed for children who are able to weight on their legs and take steps, but lack sufficient balance or upper body and shoulder control to maintain alignment. 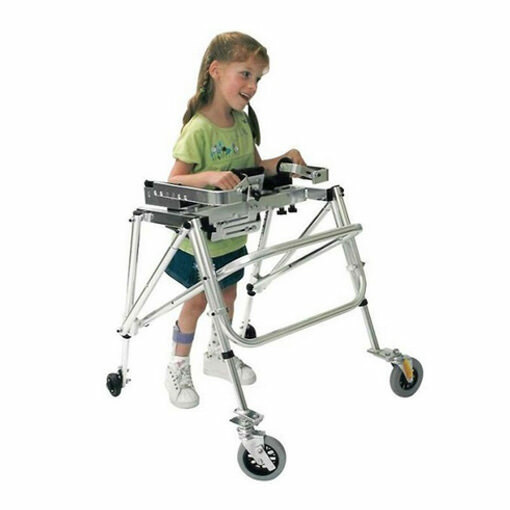 Anterior support Walker has a wide stable base and appropriate for users with neuromuscular impairments associated with severe spasticity, athetosis or ataxia. The open back design of the walker facilitates an easy transition from the wheelchair or other seat. 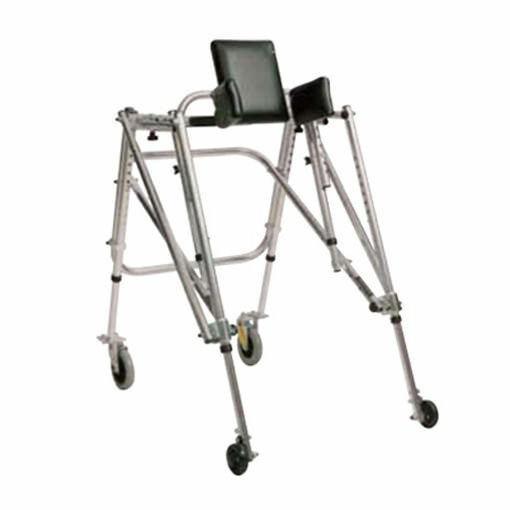 Anterior Walkers come with swivel front wheels that can be locked straight ahead if desired. These walkers fold easily for convenient storage and transportation. Weight Limit 85 lbs. 85 lbs. Height to top of forearm cushion (floor to elbow) - 21½" - 30"
Distance between forearm cushions - 6.5" - 12½"
Distance between trunk support cushions - 8" - 12"
Distance between forearm cushion and handgrip - 1½" - 5½"